Core Stability Training – are you doing too much? Ask 100 fitness professionals and rehabilitation specialists, and they’ll all have different answers – and even then, it will still be dependent on the athlete/client/patient. We can’t even effectively define “core,” let alone “core stability exercises” to answer the question. 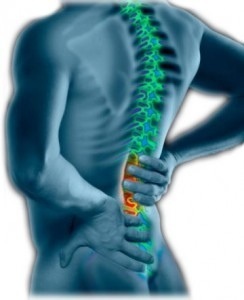 Taking it a step further, only 15% of low back pain has a definitive diagnosis. One could make the argument, therefore, that only 15% of core function can be adequately assessed/interpreted. We’d like to think that we know exactly what is going on with a spine, but that’s just not reflected in the research. The good news, though, is that while most people encounter low back pain at some point in their lives, the overwhelming majority of them do get better with rehabilitation. We just don’t know what’s optimal – and I’m not sure we ever will, but we are getting a lot better, thanks to the availability of both research and anecdotal experience of rehabilitation specialists, fitness professionals, and folks who have remained healthy. My Pilates and Bio- mechanics training has enabled me to assess you and create a program to address your core needs. You may be hypermobile and need to improve stability, or tight and stiff and benefit from increased mobility. In either case a large group, general class may not help your back at all! If you’re local and would like to learn more about my small group training sessions get in touch for a trial session. This class might suit you if you want to develop a strong and mobile core.